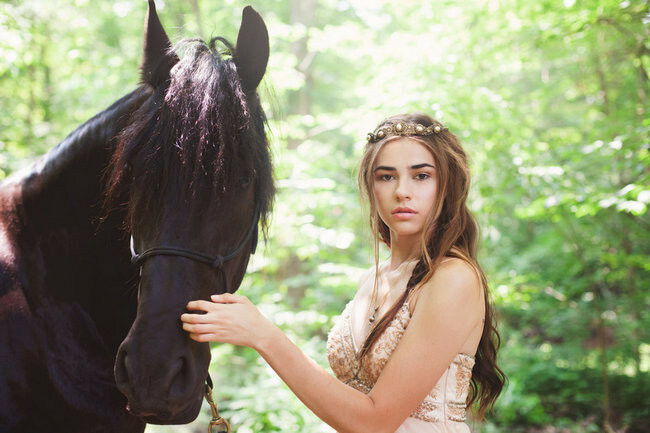 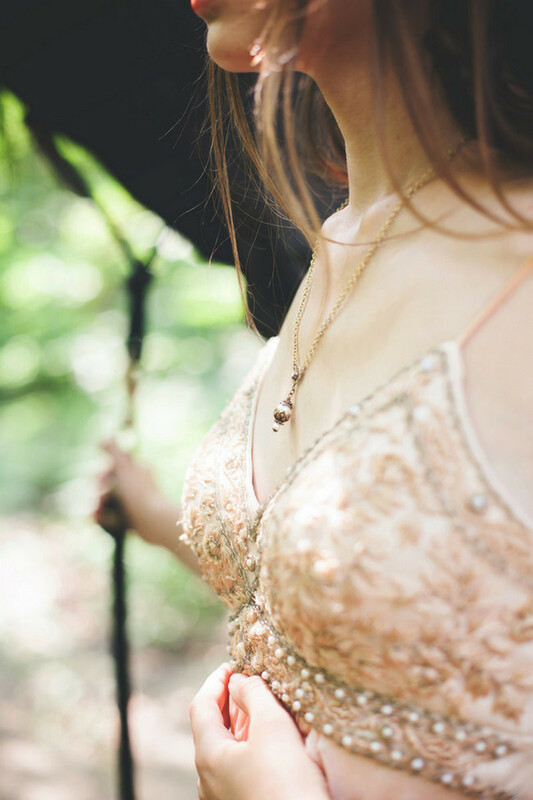 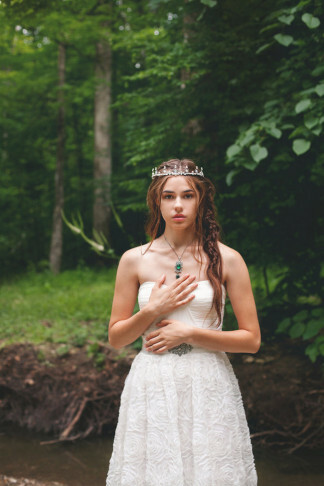 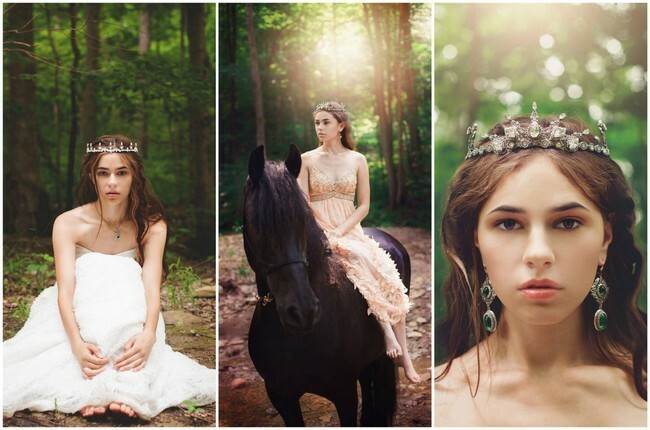 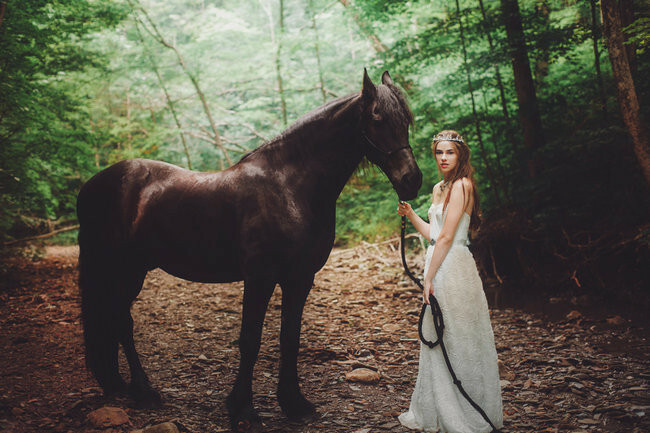 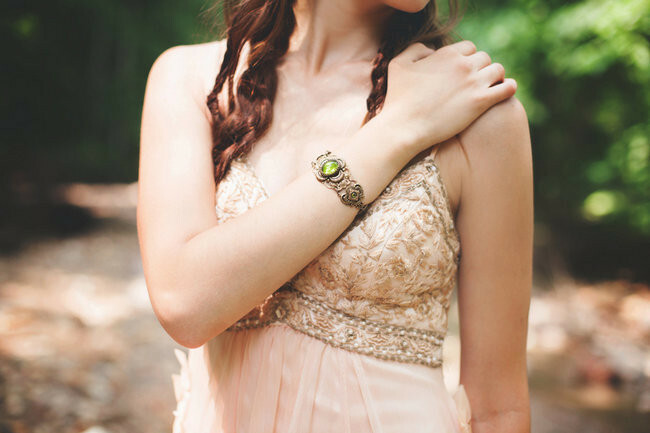 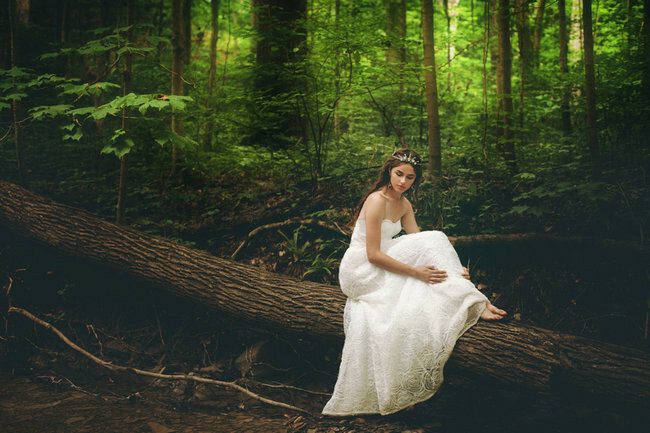 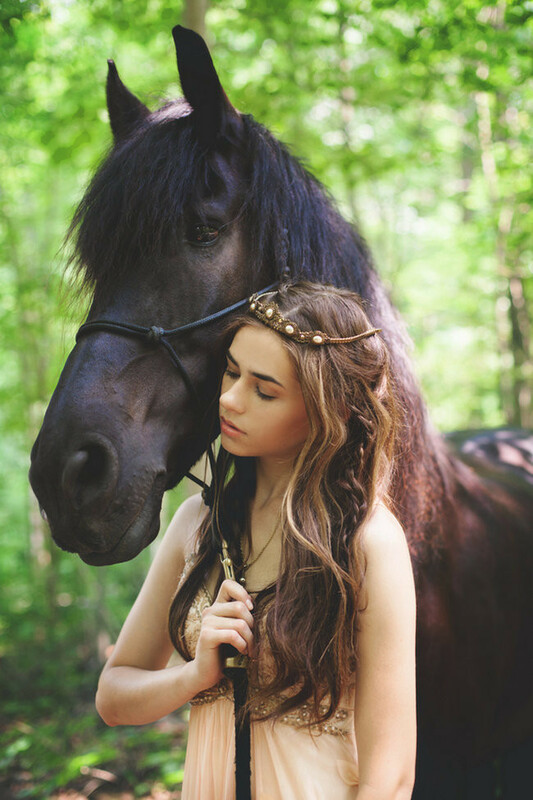 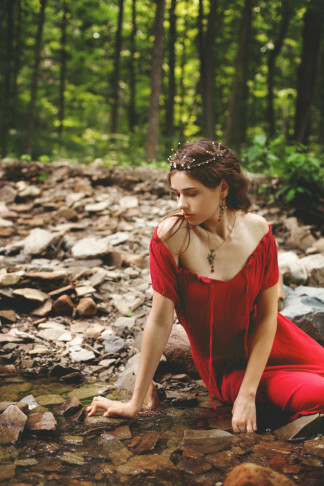 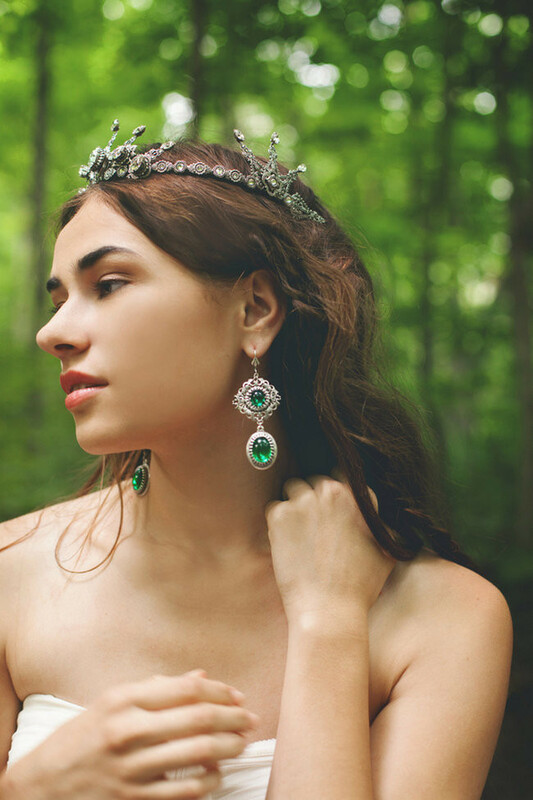 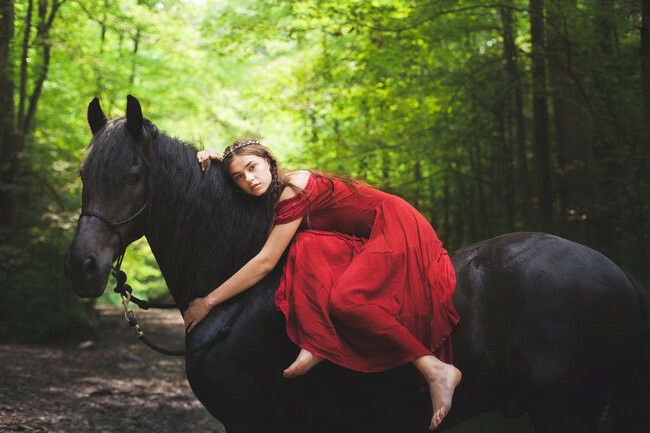 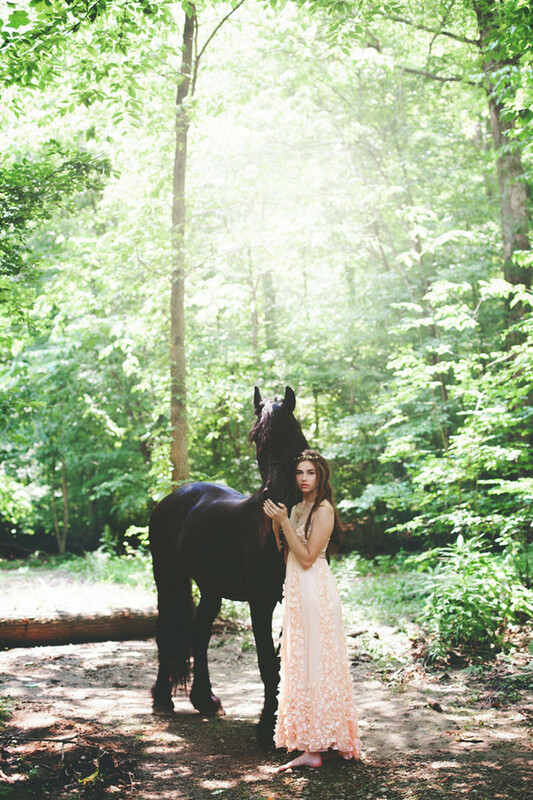 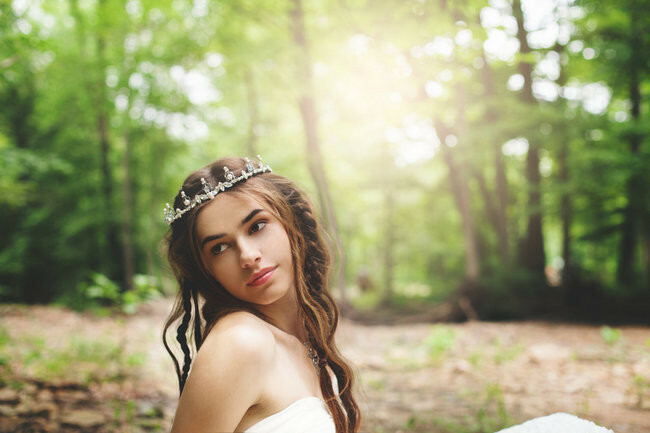 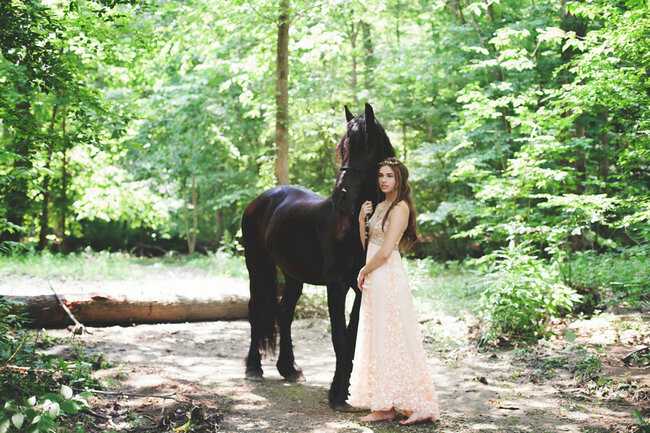 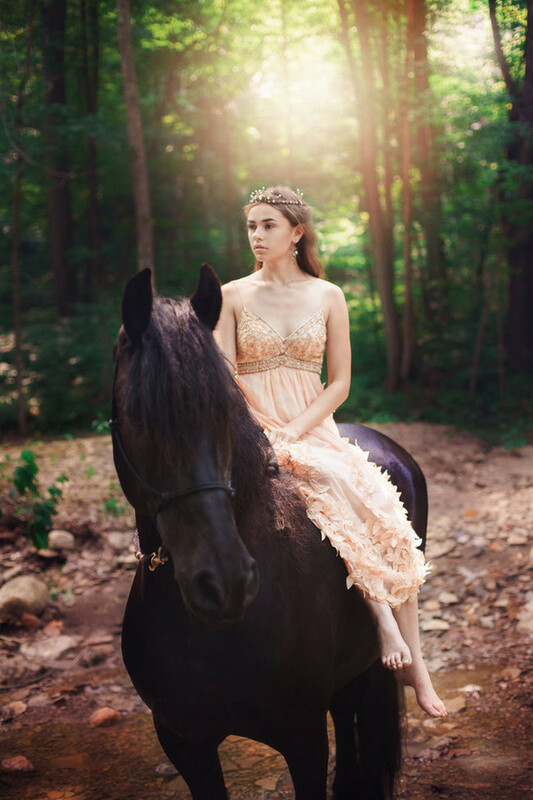 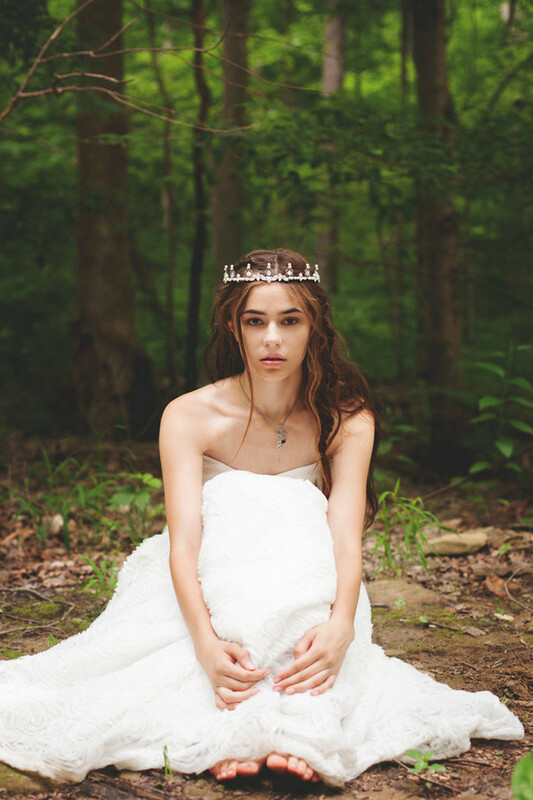 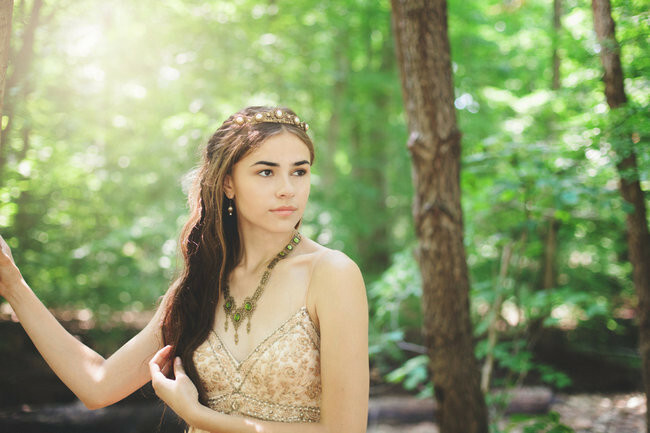 You’re about to enter a forest bride’s Woodland Fantasy, brought to life by a magical collaboration between Angie Candell of La Candella Weddings, and Dosha of Rabbitwood & Reason handmade jewelry. 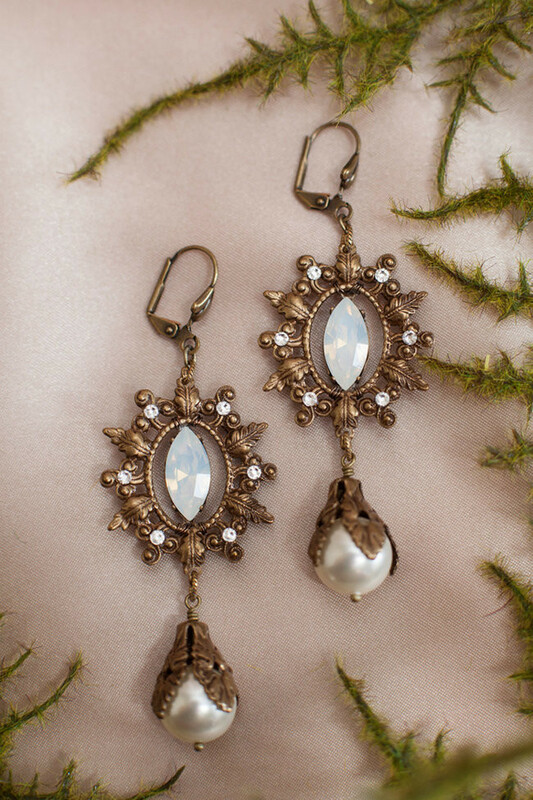 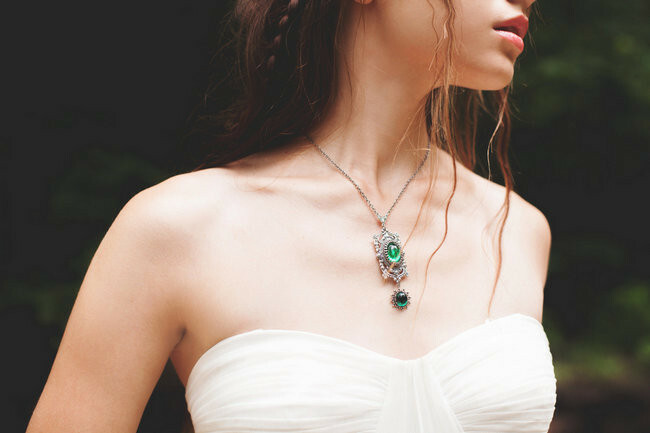 We just love these pieces to finish off a boho bride’s wedding day look! 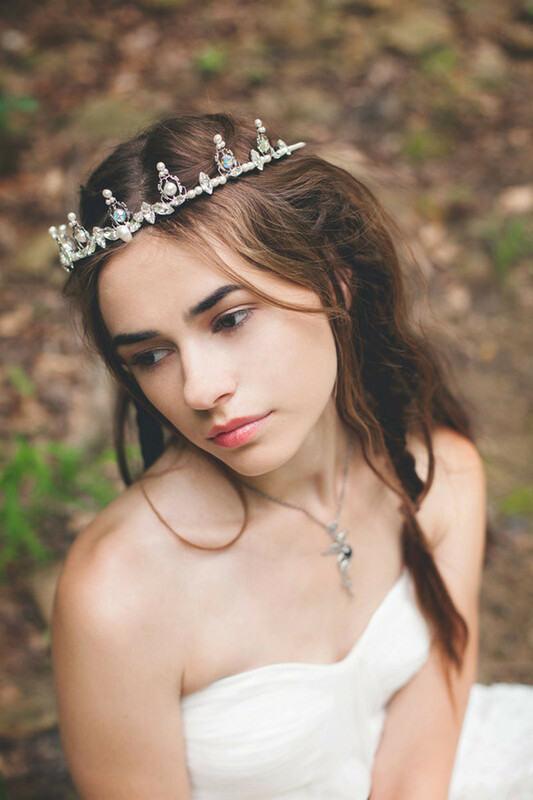 Together they created a soft, romantic look by using transparent fabrics such as tulle which were paired with the intricate, handcrafted crystal and stone adorned jewelry pieces. 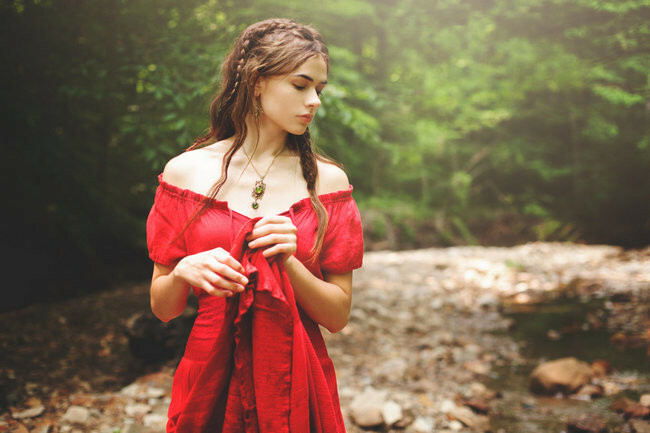 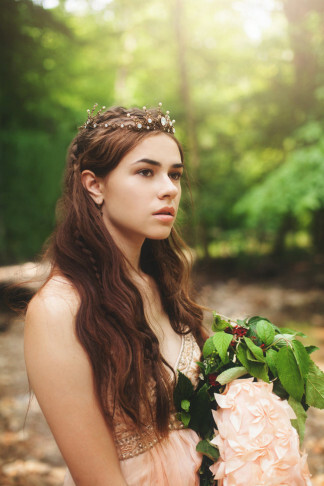 Windblown hair with peek-a-boo braids, bare feet and a natural glow completed the forest bride look. 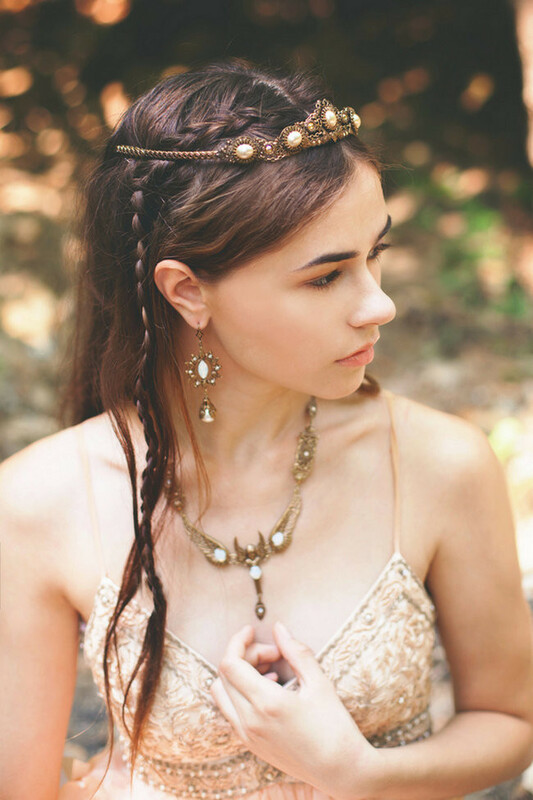 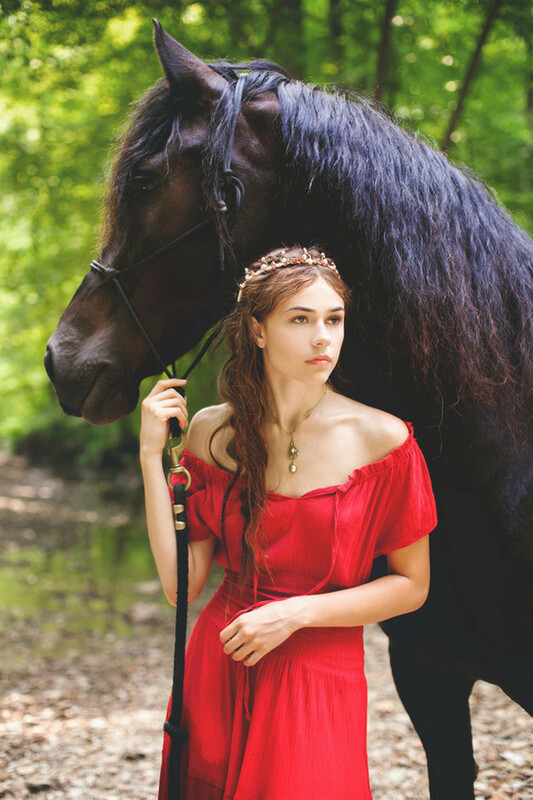 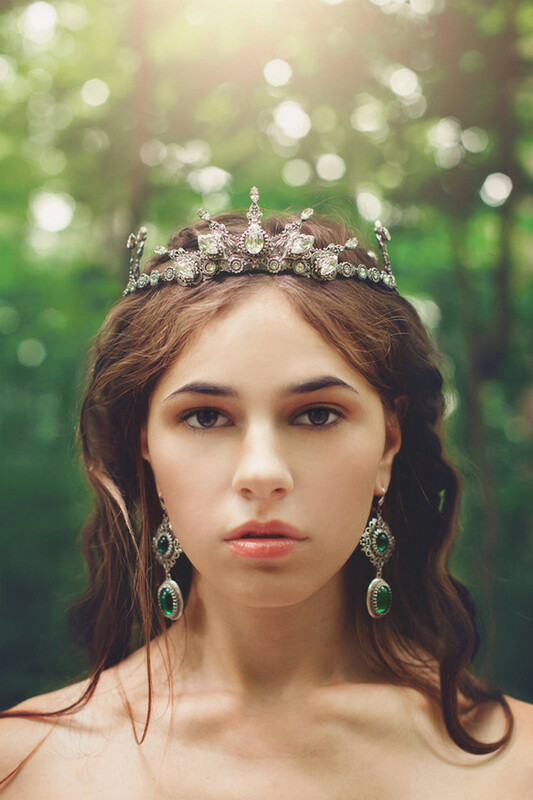 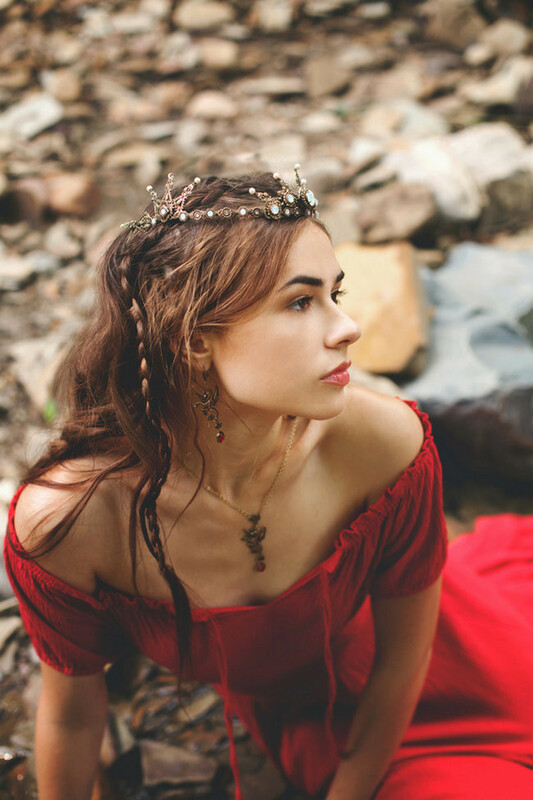 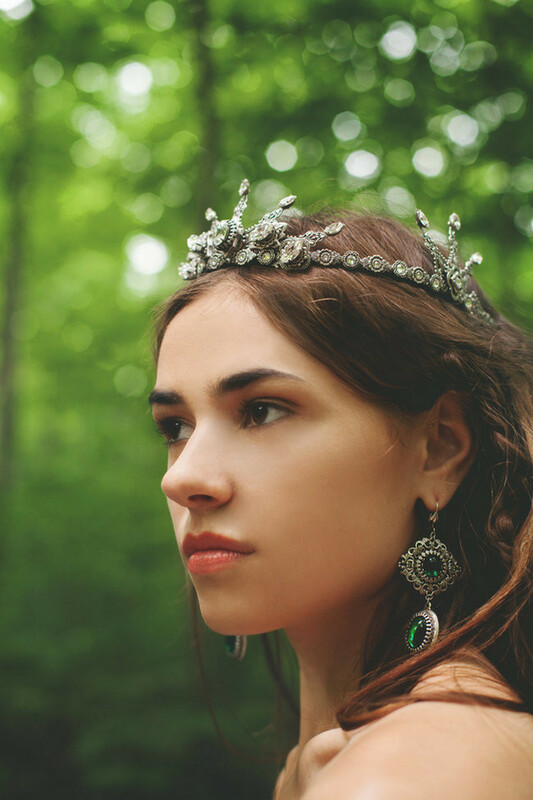 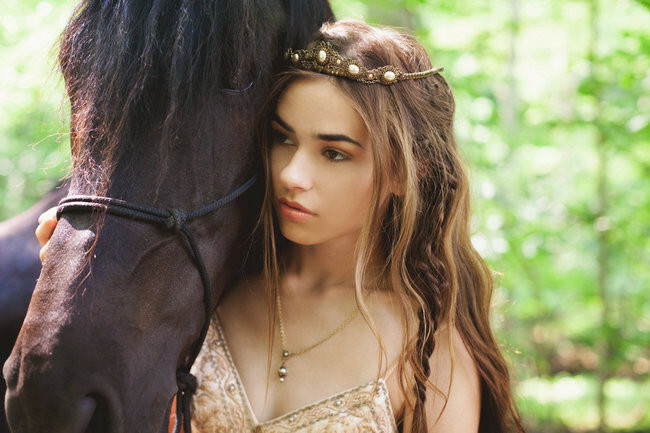 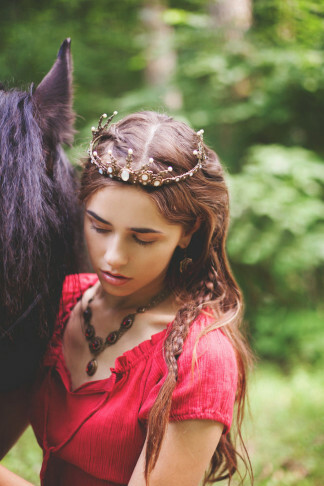 If these gorgeous handcrafted accessories by Rabbitwood and Reason seem familiar, it’s because the designs have been featured in TV series, Reign, including a tiara for Queen Mary and a tiara for Queen Elizabeth!